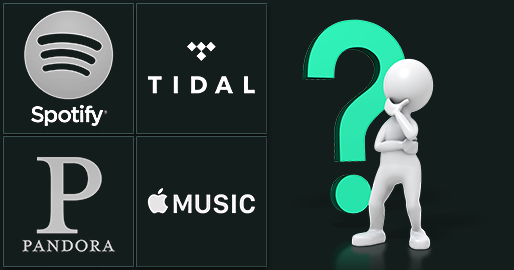 Written by Glen Sears — What is the best theory to describe profitability in the streaming music industry? Not to be all gloom and doom here, but it might never be possible for a company in which it represents their primary product. Last year, Spotify revenues topped $2bn but their losses hit $194m. In Q4 2015, Pandora took in $336m but lost $19.4m. Even Samsung had to shutter Milk Music. Simply put, nobody is profiting in streaming right now. That’s not to say that tons of people aren’t making money, though. Labels, distributors, PROs, streaming services, back-end payment administrators—they’re all making revenue. Really then, maybe the right question is this: How long will outside financiers be willing to prop up the streaming music model? I’m no investment banker. All I know is that streaming makes a metric ton of revenue every year, but there’s very little signage that says a standalone streaming music company could ever be viable without constant infusions of cash or debt financing. Provision significantly higher-quality audio, which is more expensive to store and stream but requires almost no additional infrastructure. Charge users significantly more money for the service. Pay everyone in the ownership chain more money, but leverage significantly better economies of scale to achieve profitability. So far the success of TIDAL is mixed. Credit due, though; at least they tried something dramatically different. If somebody figures out that mold-shattering “gotta have it” feature, and can do it so early that labels and publishers sign favorable licensing deals, maybe you could be profitable. At least until the contract term ends and you’ve got to renegotiate. That’s what Spotify is dealing with right now.